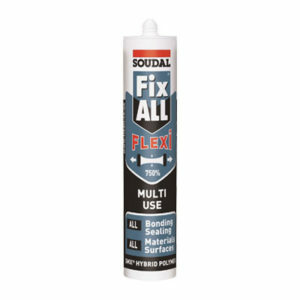 The super-strong adhesive in the Fix All Range, with a very high initial grab – just apply and press, and the high tack ensures it holds up without sliding or dropping. 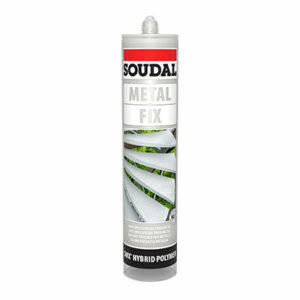 Also, it has a final bond strength of 320 kg/10 cm² – far surpassing typical adhesives. 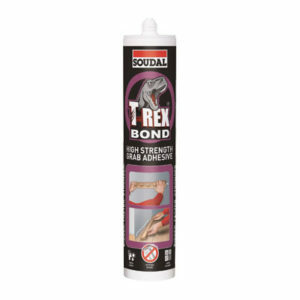 Bonds onto humid surfaces, even underwater! 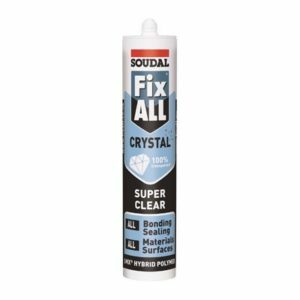 Good resistance to water, aliphatic solvents, hydrocarbons, ketones, esters, alcohols, diluted mineral acids and alkalis and (salt) water. 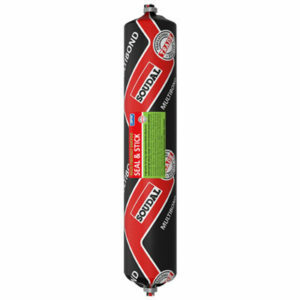 Poor resistance to aromatic solvents, concentrated acids and chlorinated hydrocarbons. 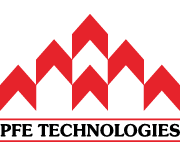 Stone, Concrete, Marble, Granite, Limestone, Travertine, Cork, Rockwool, Gypsum board, Polystyrene, Glass, Mirror, Porcelain, Tiles, Brickwork, Steel, Stainless steel, Lead, Zinc, Copper, Aluminium, PVC, Polycarbonate, Wood, Timber, Plywood, MDF, Plasterboard, Fibreglass, and many more. 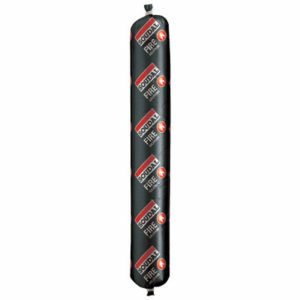 Not suitable for PE, PP, and PTFE. 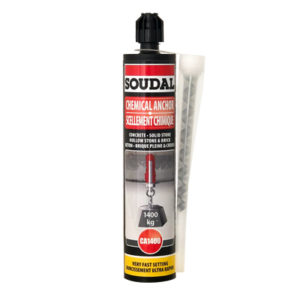 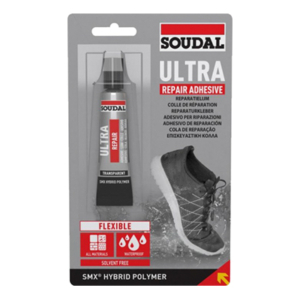 Solvent-based, high strength construction adhesive with very high initial grab up to 125 kg / m². 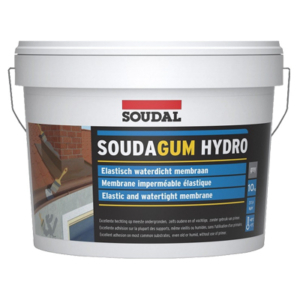 Waterproof PU construction adhesive with foaming penetration action suitable for all materials, especially timber. 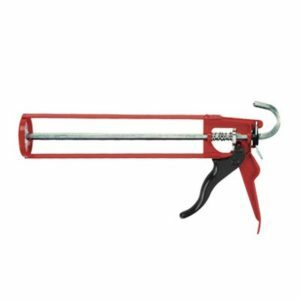 Caulking gun for use on sausages up to 600 ml. 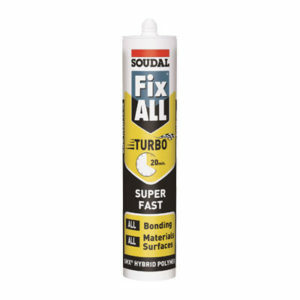 Very high thrust ratio and exceptional build quality. 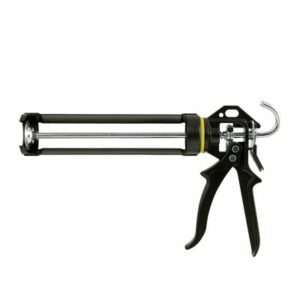 Dripless caulking gun with very high thrust ratio and exceptional build quality. 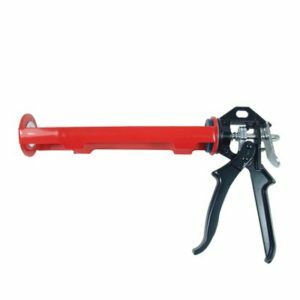 Very durable caulking gun with rotating cradle frame. 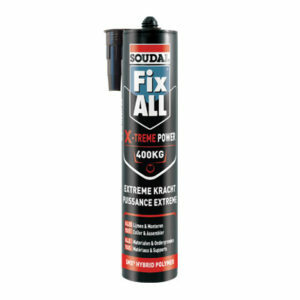 Built to last, with high thrust ratio. 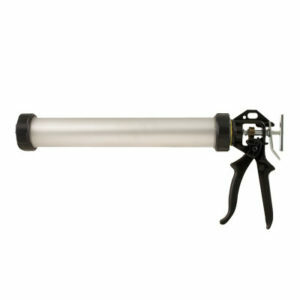 Caulking gun built with light-weight but very strong materials. 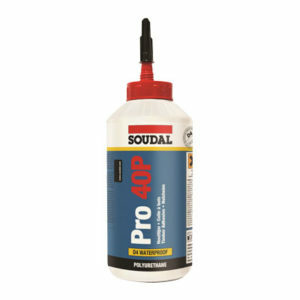 Dripless design to prevent spilling or overflowing. 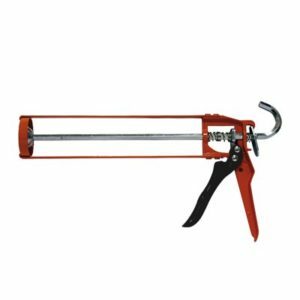 High quality caulking gun that is economical and convenient-to-use.